Second quarter 2015 saw renewable energy reach 25 per cent of total electricity generation in the UK, an increase of 8.6 per cent on the previous year. The increased output was attributed to favourable weather conditions such as higher wind speeds, rainfall and sun hours. Total energy production was 10.8 per cent higher due to increases in oil and gas production. Gas accounted for the most energy produced with 30.2 per cent of total energy production in the second quarter, while coal brought in 20.5 per cent, and nuclear accounted for 21.5 per cent. The new figures show renewable energy is the second largest source of energy in the UK. Total demand for coal in the second quarter was at a new record low of 8.5 million tonnes, compared to 14 million tonnes for the same period 2014, 22 per cent lower. Coal stocks are now higher in the UK, with 18.5 million tonnes recorded at the end of June, 2.1 million tonnes higher than in June 2014. 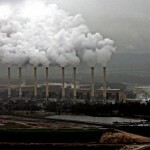 World Coal Association chief Benjamin Sporton said recently that figures from the International Energy Agency showed renewables would begin to overtake coal in the global energy mix in 2040. 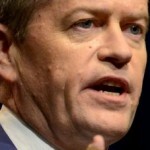 I think the demand for coal in 2040 globally will be about 33 per cent bigger than it is now,” he said. “So coal is most absolutely not going anywhere, I don’t think we can wish away coal, so I think those companies involved in the coal industry, once we get through the difficulties and the commodity cycle today will have a strong future, because there is very strong demand for coal internationally. 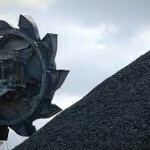 Institute for Energy Economics and Financial Analysis director of energy research Tim Buckley said the coal industry was “facing global headwinds it can do little to control”, in relation to flagging demand for thermal coal in China, and flattening of coal imports in India.